Pollution seems anywhere and everywhere. When it comes to rivers, the gift keeps giving as the water (and pollution) just flows. 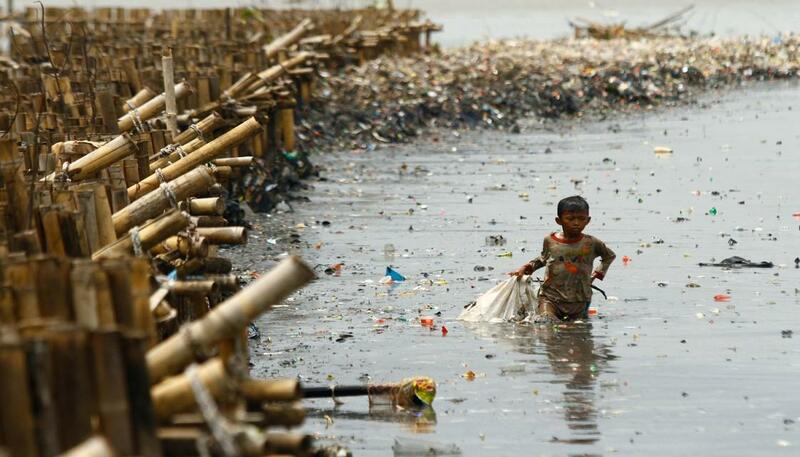 From Newshub's article "10 Rivers Causing 95% of Ocean Plastic Pollution," this list is a snapshot of the 10 worst rivers of 57 (and the seas they flow into)--not surprising, some of the largest and/or longest rivers in the world. It certainly causes you to take pause. Not surprising, the "mismanaged plastic waste" that hits many of these rivers come from being near high population centers... meaning a lot of people add a lot of waste and contribute to a lot of the problem!! Here are 6 things you can do to help solve the problem where you are... may we all follow suit to help keep our waterways safe! Look to your hard outdoor surfaces to watch for stormwater runoff. Keep in mind--your toilet is anything but a trashcan. Don't flush away the nonessentials! Think before you sink... meaning: pay attention to what you are washing down the drain. It's not the place for chemicals or other waste. Don't let your puppy's poo get the best of you. Clean up after your pup. Keep your car maintenance in check so fluids don't improperly go down the drain. 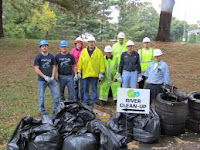 Donate your money and your time to river clean ups such as the National River Cleanup or Ocean Conservancy's: Fighting for Trash Free Seas.